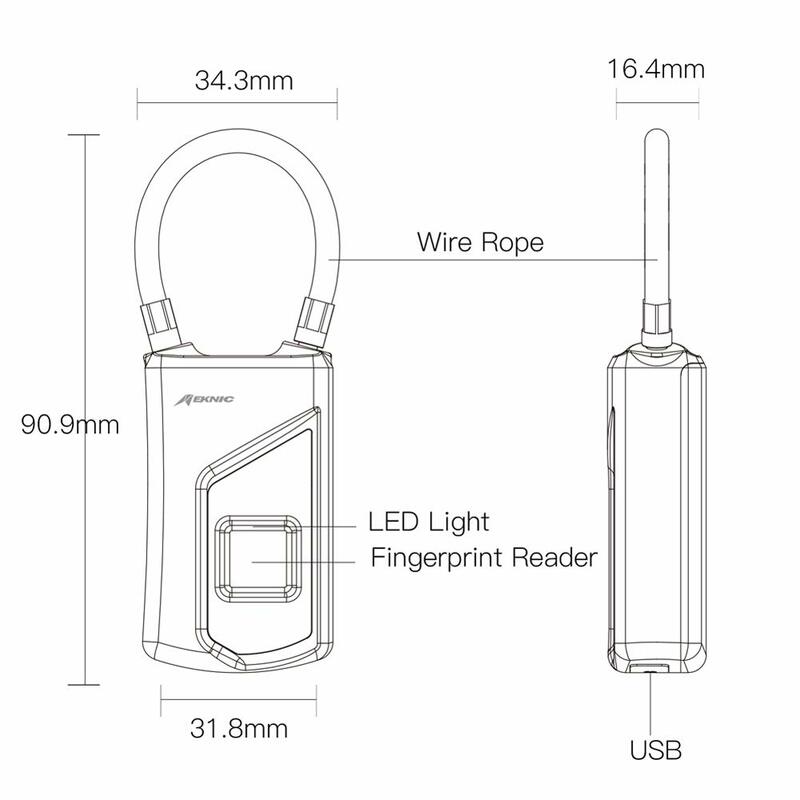 【Smart Fingerprint unlock】Never lose your key again! 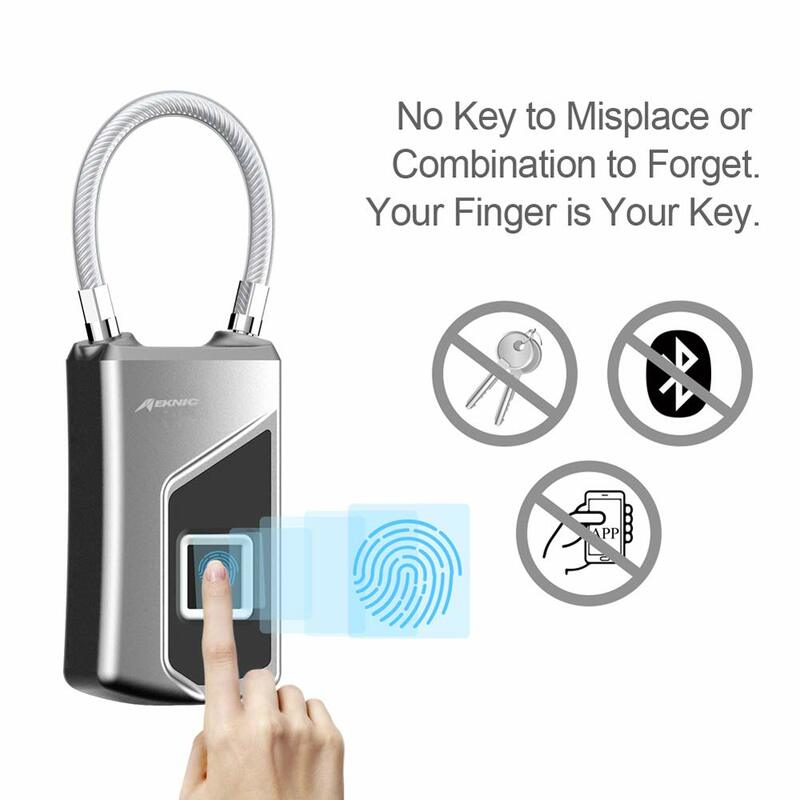 Your finger is the key, Also do not have to worry about the password is copied or cracked. 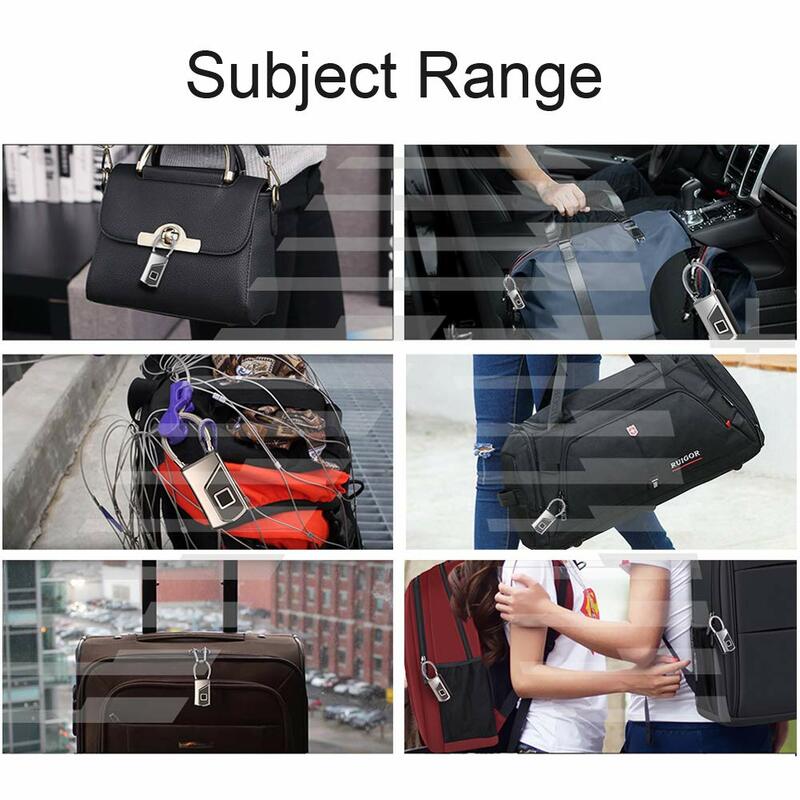 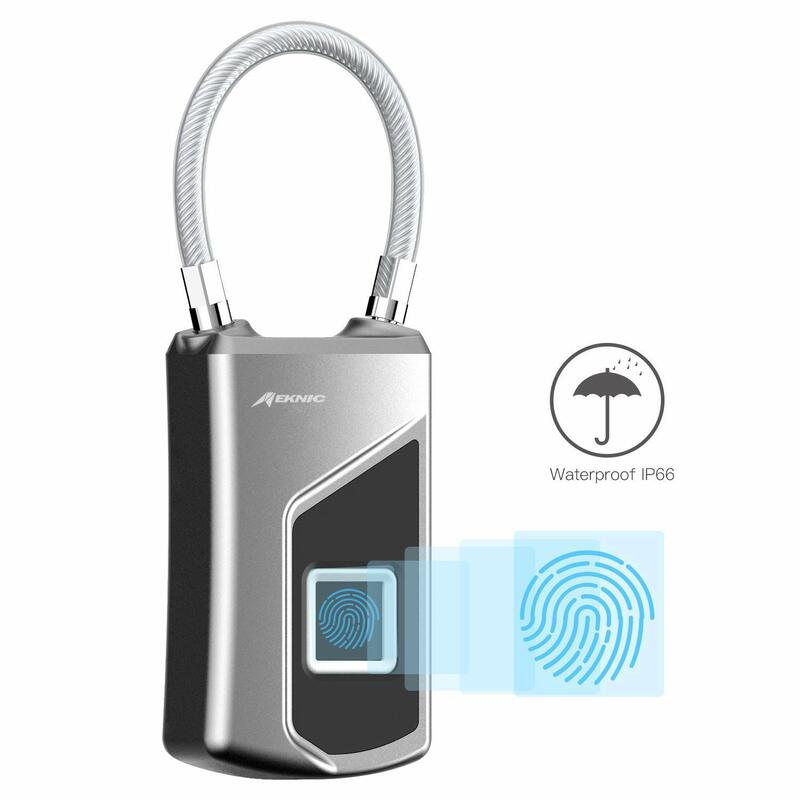 One padlock fingerprint support max to 10 fingerprint. 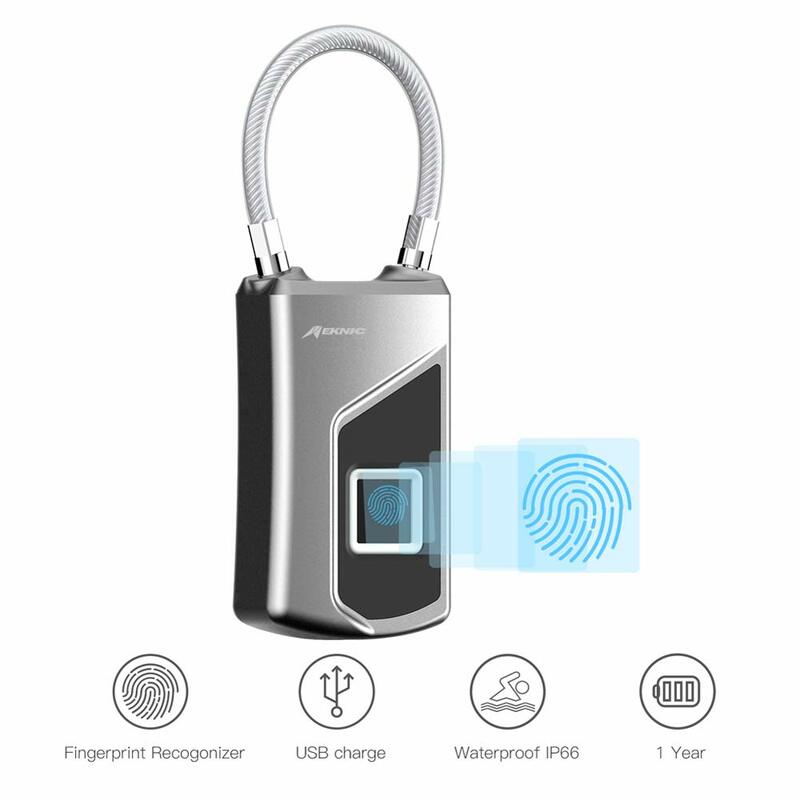 【IP65 Waterpoof Durable Design】This smart fingerprint padlock body is made of aluminum alloy and the lock beam is made of stainless steel for superior cut resistance,protect your cabinet or your home against thieves. 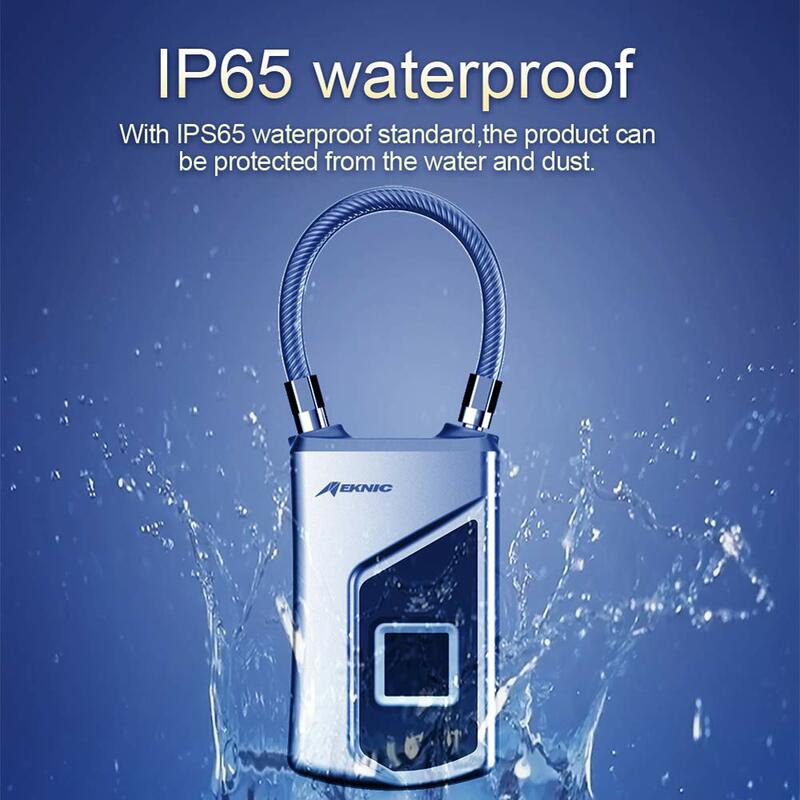 IP66 Waterpoof design, ideal for indoor and outdoor use. 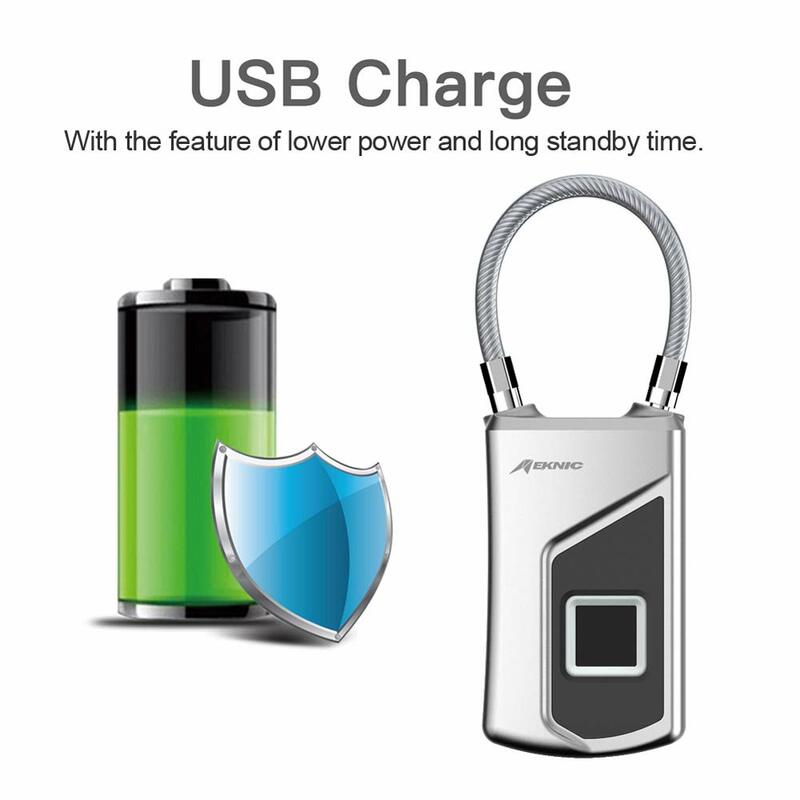 【USB CHARGING】1 piece 240MAH lithium polymer battery, with low power consumption and long standby time max last for 1 year. 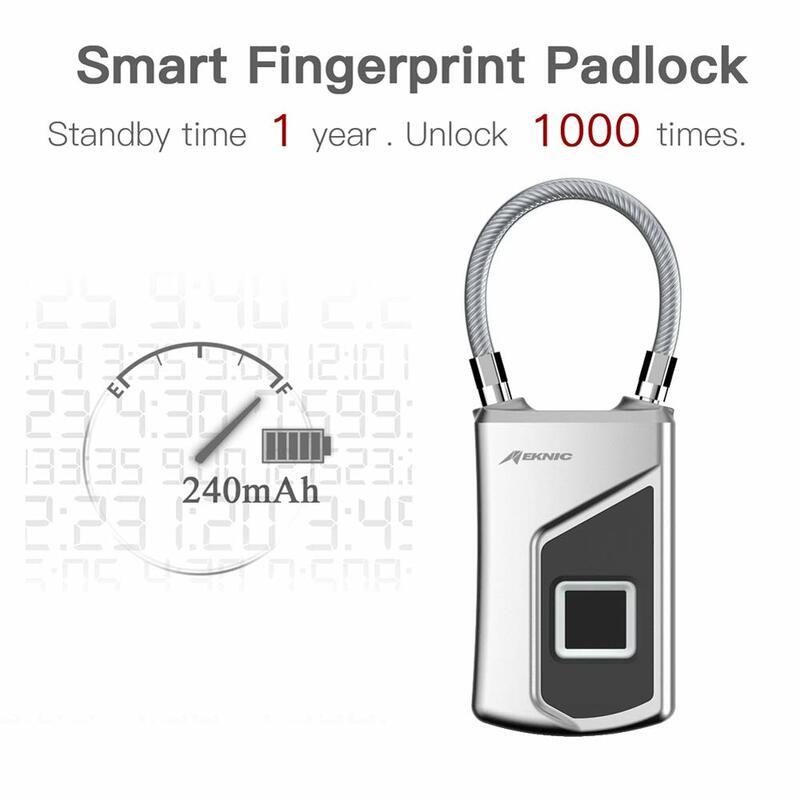 Maximum number of unlocks up to 1000 times. 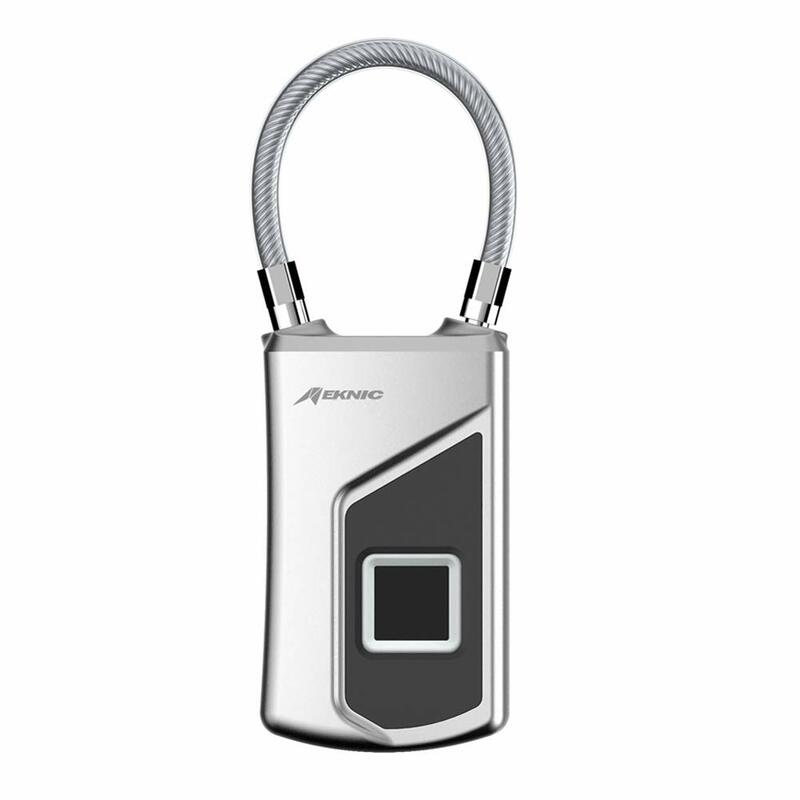 This fingerprint padlock can be unlock under emergency situation---Unlocked by fingerprint directly when charging.